The official figurine collection reproduces the filmmaker's vision in loving 1:25 scale. 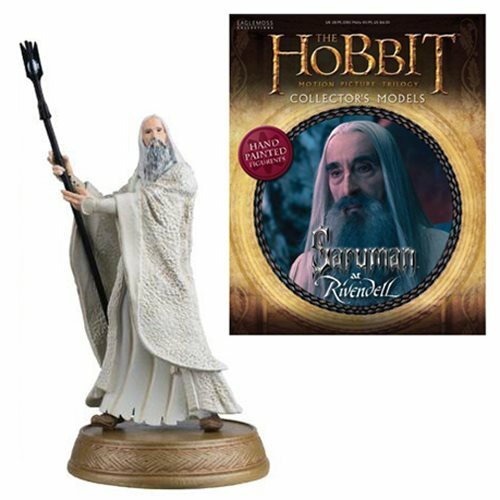 This Hobbit Saruman with Collector Magazine #14 is sculpted in incredible detail working from official reference material provided by the studio. This figure comes with a richly illustrated collector's guide that explores all detail about character, complete with a character profile, and key moments that have defined the character. Ages 13 and up.